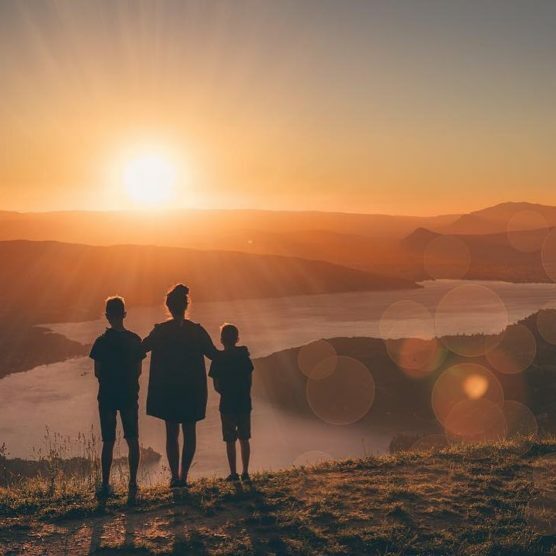 In today’s article, we are going to tell you some interesting facts about Annecy – the little gem situated in the French Alps, in the department of Haute-Savoie. 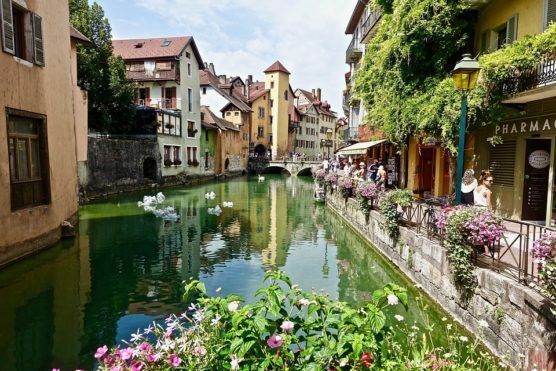 You probably haven’t heard of them but Annecy despite being a picturesque little town with many canals making their way through the city, it’s a cultural hub that has a lot to offer. Do you still feel unsure about Annecy? Then watch the following video. Interesting facts about Annecy…and much more! 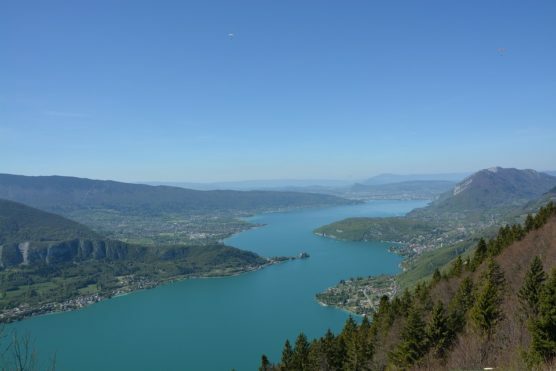 First of all, we all know it’s situated near the Lake of Annecy, but did you know that the lake it’s the 2nd largest in France and it has one of the purest waters in the world. It’s the second biggest lake of glacier origin in France just after the Lake of Bourget. The lake was formed by the melting of the Alpine glaciers, more than 18.000 years ago. ❧ How’s the lake nowadays? It has been transformed into an attraction that seduces people from all walks of life, where they can practice adventure sport such as windsurf or take a boat trip around the lake. If you dare, paragliding is for you. It’s 100% worth it for the views you will see from above. 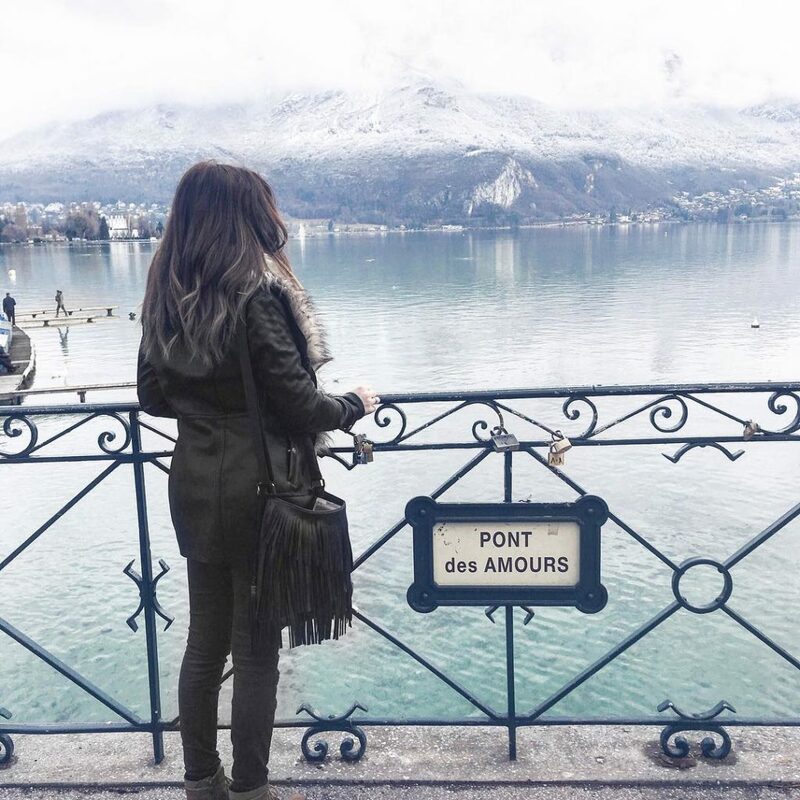 Speaking of the lake, to the point where it flows into Annecy through the Canal de Vassé, there is a bridge installed known as the Pont des Amours (the love bridge). There is a myth that says that if two lovers kiss on the bridge, they will stay together forever. It’s all romantic, but even if you don’t have anyone to kiss at the moment, you will be still amazed by the stunning views overlooking the mountains. The lake of Annecy drains its waters into the Thiou river, considered the shortest river in France with its 3,5 km of length. When the river passes through the Annecy, forms a maze of canals, that contribute to the beauty of the Venice of the Alps. Tip: From the Perriére and Morens bridges, you can enjoy one of the best panoramic views over sunset time. 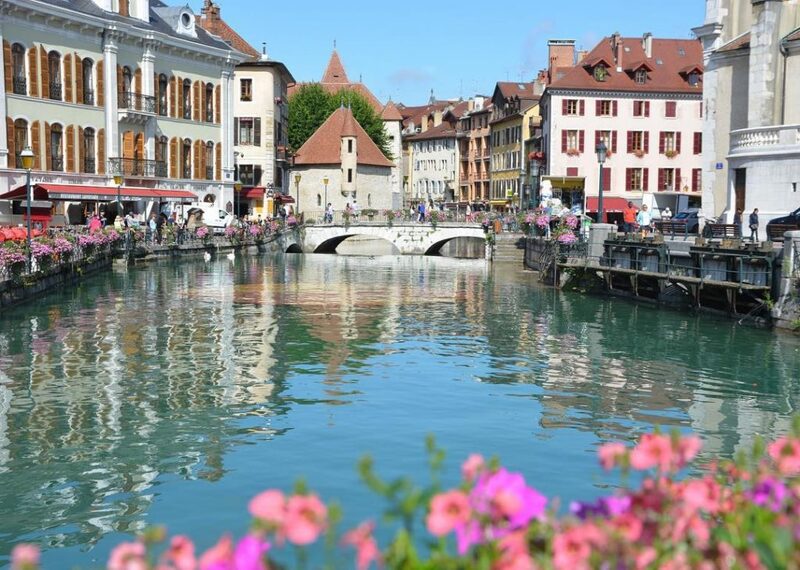 Annecy has earned the ”Golden Flower” award in 2015 for being one of the nine most-flowered cities in France! The ‘’palacio de I’lle’’ was once a prison. It was declared a historical heritage in 1900. 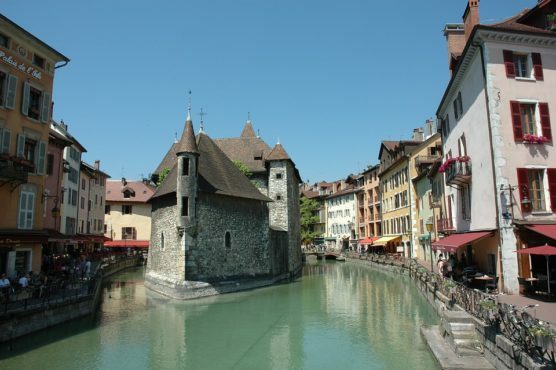 The construction of the palace began in the XII century and it was planned to be the residence of the high class of Annecy, that were under the control of the counts of Geneve. However, in 1325 it was decided to use it as a prison due to its strategic location. June to September: every day from 10:30 a.m o 6 p.m.
Tickets cost: adult – 3,60 euros, children – 1,60 euros. Having heard enough interesting facts about Annecy, do you want to be there already? 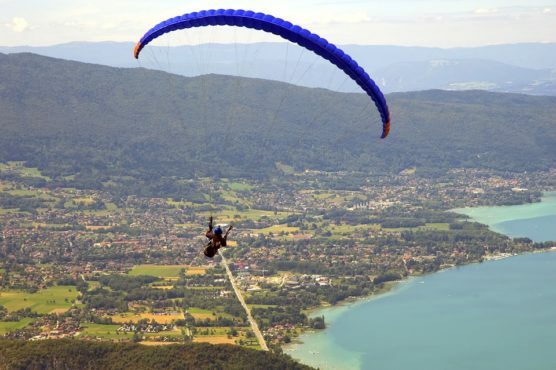 Did you know that Annecy is so accessible that it’s actually one of the most convenient locations in the Alps to get to? It’s just 35 min drive from Geneva and 1 hour from Chambery. If you are planning your escape to this region, don’t miss out to visit Annecy. Well, no wonder why. Its lake and strategic location to the Alps, turn Annecy into a favorite spot for both, winter and summer sports. Some examples include aerial sports (paragliding), water sports (swimming, sailing, water skiing, diving etc), cycling as well as mountain activities (hiking, skiing, canyoning). Everything is possible in Annecy! Annecy was announced as one of the three cities to host the 2018 Winter Olympics along with Munich in Germany and Pyeongchang in South Korea. This also makes it the 4th French city to host Winter Olympic Games after Chamonix, Grenoble and Albertville. Some more interesting fact about Annecy? 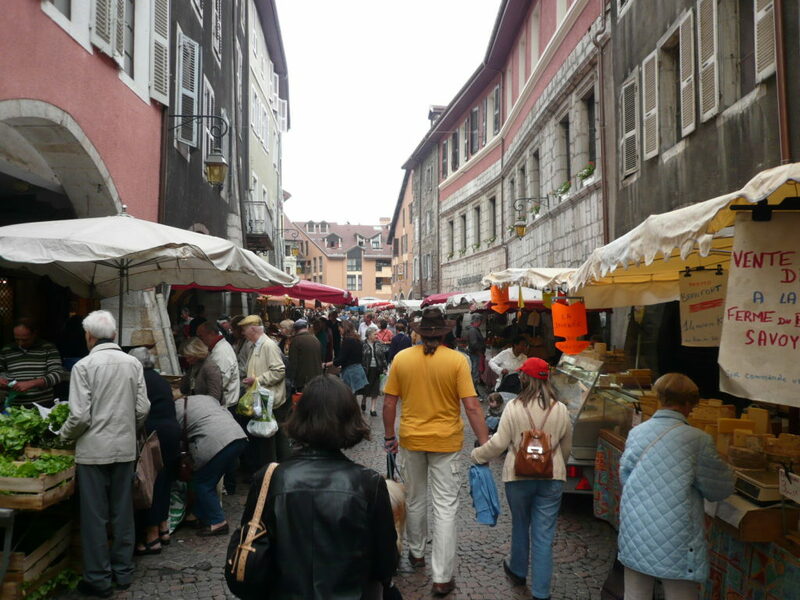 The Sunday market in Annecy is one of the best markets in France, with its colourful stalls installed along the old town’s streets and canals. You can find anything from food beverages to manufactured and textile goods. For more info, click here. Maybe a bit out of the topic but for the foodies and the Carrefour fans, the historic home-base for Carrefour (one of the largest hypermarket chains in the world) opened doors first in Annecy on 1st of January 1958. It was on the ground floor of a building named ‘’carrefour’’, which means crossroads in French. Everyone loves good food, so we know we caught your eye here. 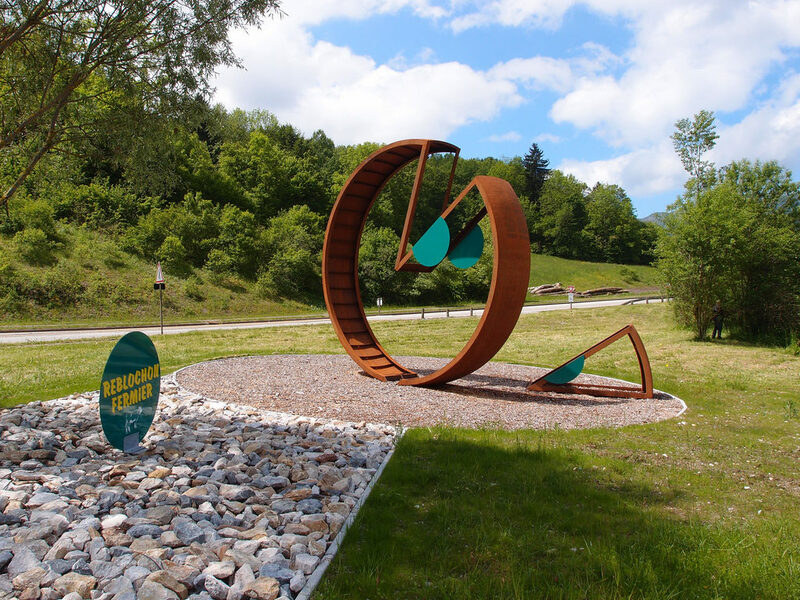 The gastronomy of Annecy is the typical for this region, but did you know that here is produced the ‘’reblochón’’ of Haute Savoie which has its own Protected Designation of Origin. Are there any drinkers among our readers? Here we reveal one of the most interesting facts about Annecy that its typical drink. 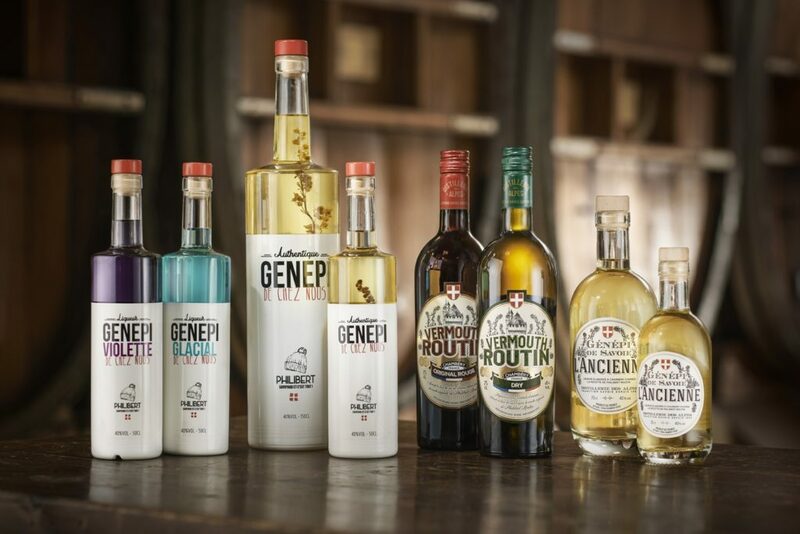 The liquor, ‘’Genepí’’, which is made from the herb of the same name, can be found only in the Alps. So, don’t miss your chance while you are there and try it out! 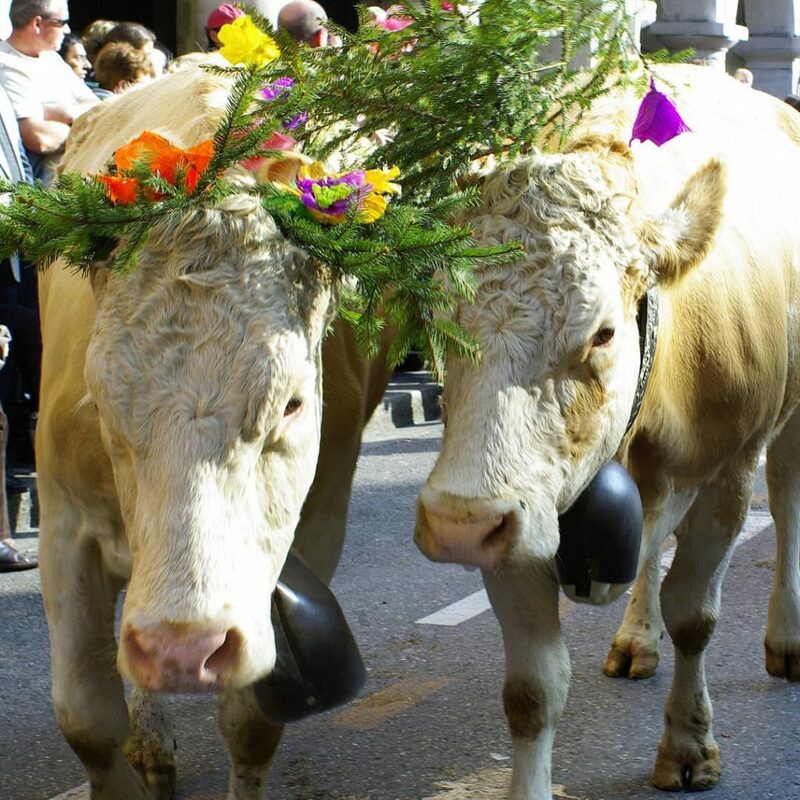 Fiesta time and more interesting facts about Annecy? For everyone who loves movies and art, will be surprised to learn that the International Animated Film Festival in Annecy continues to be held since 1960. This year the festival will take place between the 10th and 15th of June, 2019. More info here. 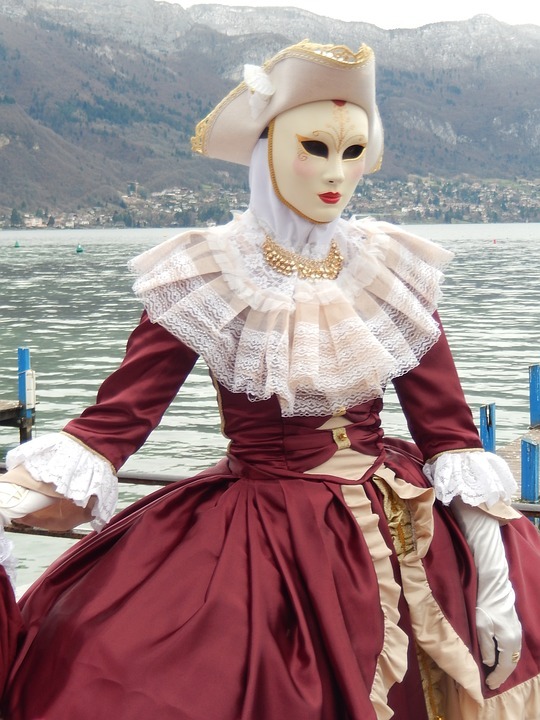 Did you know that if you’ve missed the Mask Carnival in Venice, you can experience a similar one in Annecy? It’s like you are in Venice only that the gondolas are missing. Otherwise, you will see people dressed in the same spectacular clothes in different colours and covered faces with all sort of masks. Scary or fancy, you will see everything. 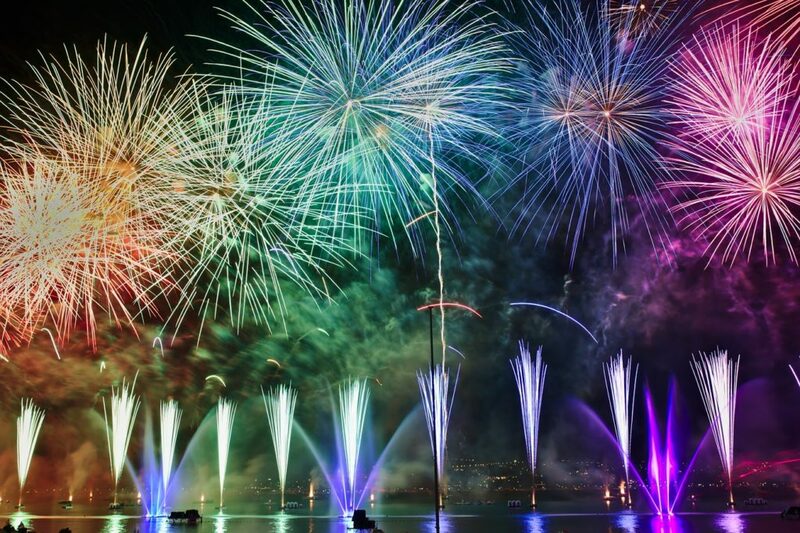 You would have never guessed that the biggest fireworks take place in Annecy. The first Saturday of August is held the Lake Festival, where thousands of people are gathering to experience the biggest fireworks in Europe. During nearly 90 min, the sky is full of different colours accompanied by the sound of the music. In addition, if you’ve always wanted to get closer to the tradition and the culture of the Alps from medieval times, did you know that the 2nd Saturday of October is the best time to visit Annecy. That’s when the town’s streets are full of flocks returning from the mountains to have shelter and avoid the cold months. The most interesting facts about Annecy were revealed! Did you know some of them? If not, we hope you’ve learned something new and what would you say about a holiday in Annecy? See our travel guide of what to do in Annecy and start packing. If you are ready to explore the French Alps, don’t miss out the 7 best things to do while there. Destinations How to go from Lanzarote to la Graciosa: the hidden gem of Gran Canaria Destinations The best destination according to your sign: where to travel next?